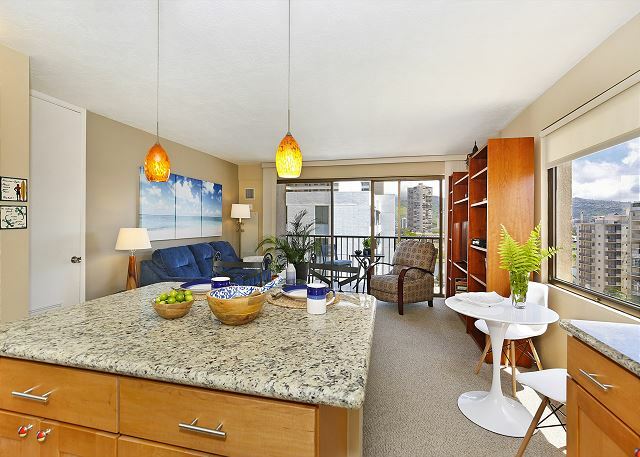 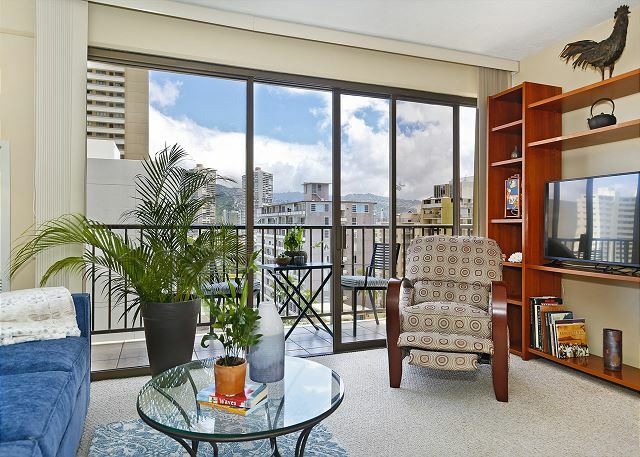 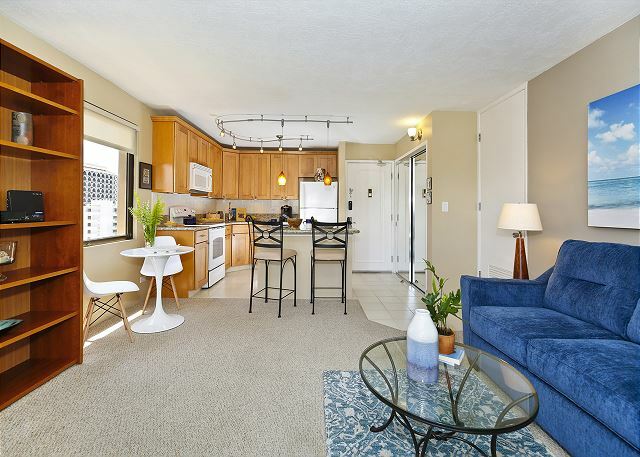 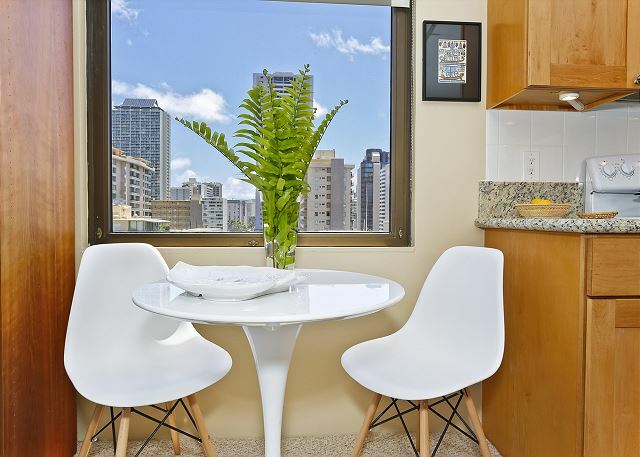 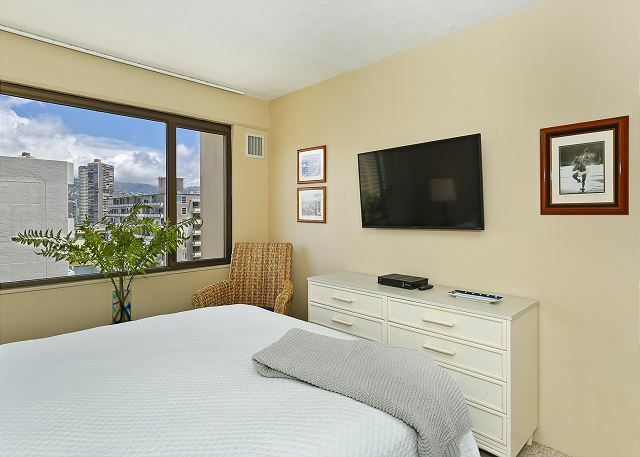 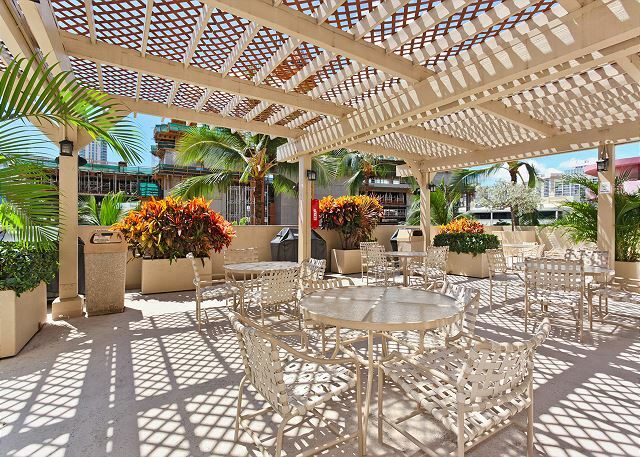 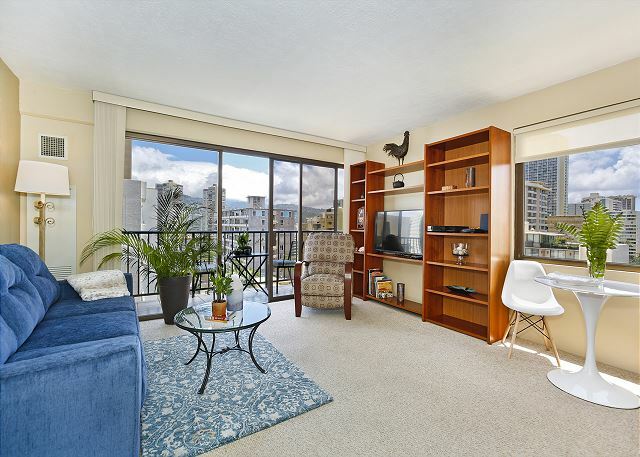 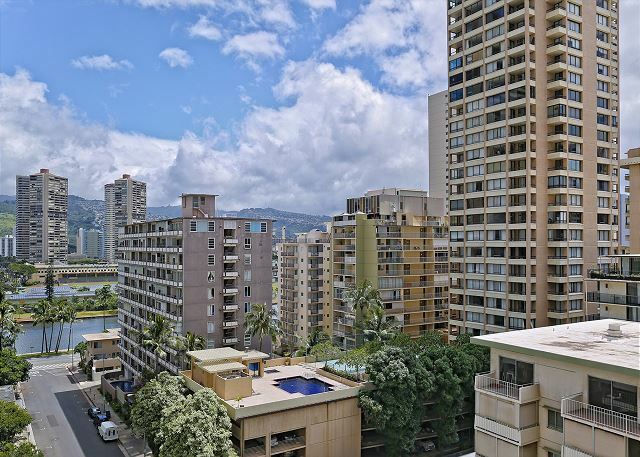 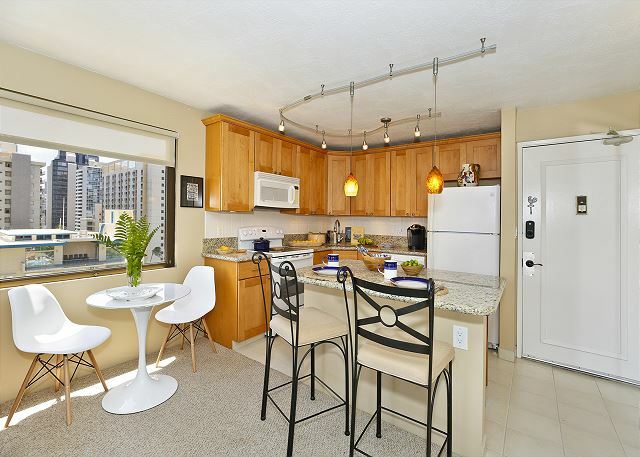 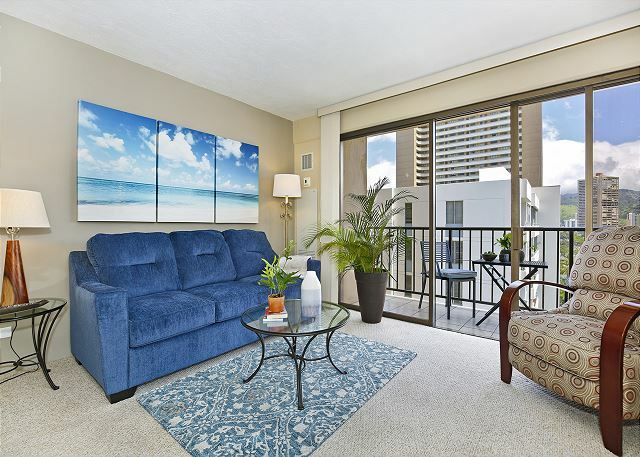 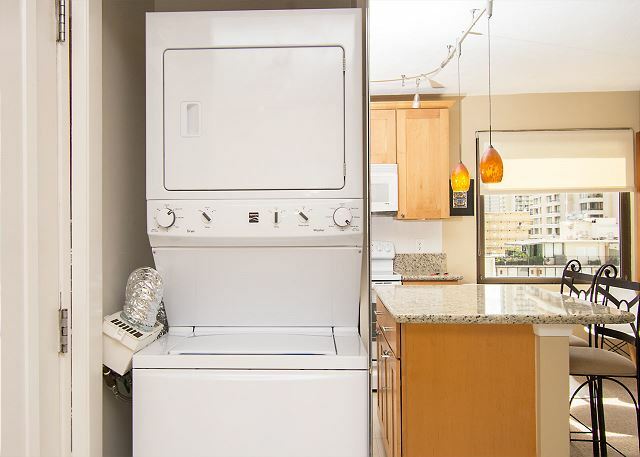 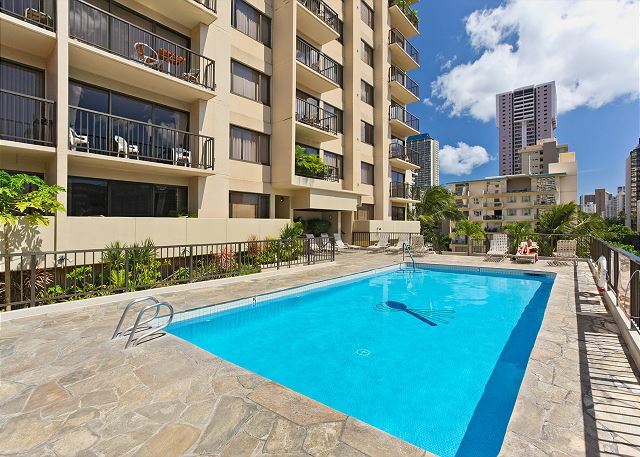 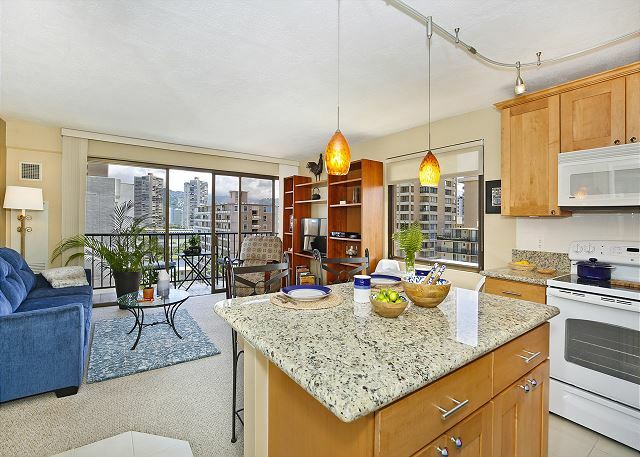 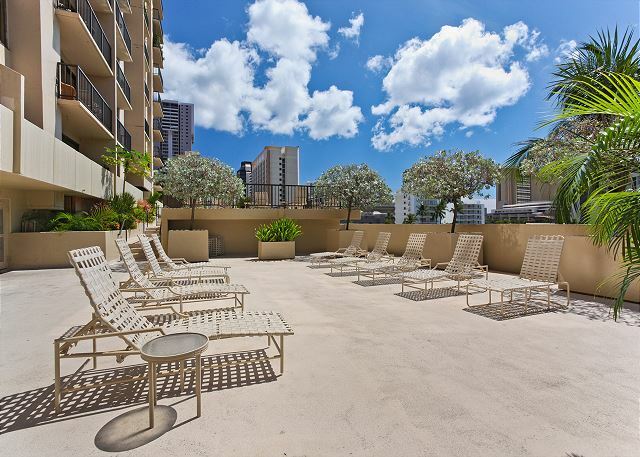 You’ll find so much to appreciate about this air-conditioned newly furnished contemporary 1-bedroom corner condo (577 sq.ft. 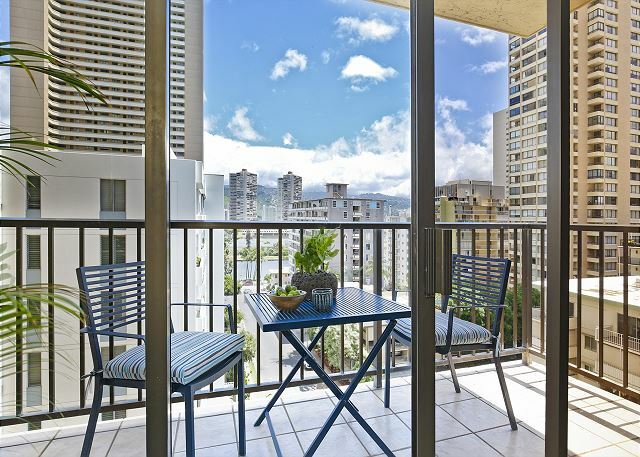 plus lanai) on the cooler mountain side of building! 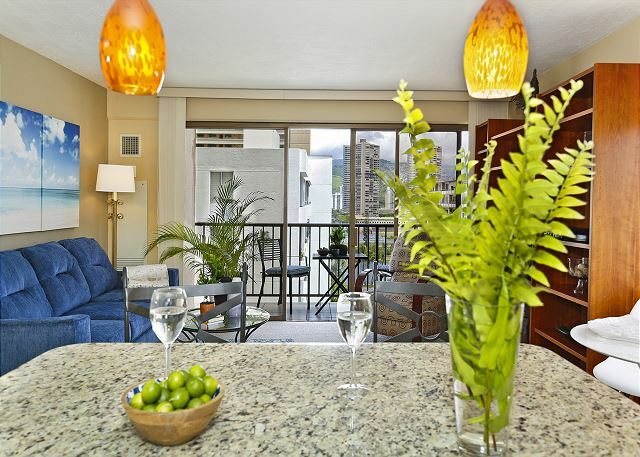 Available for stays of 30+ days, this non-smoking accommodation sleeps 4.